When the concept of “athleisure” was first bandied about, a lot of attention was paid to the word itself. In all fairness, fashion has never met a portmanteau it didn’t love (see also: jeggings, skorts and murses), and like it or not, athleisure is a term that stuck. And so has, it seems, the category of clothing. Is athleisure actually changing the way we dress and how we view clothing, or is it all a bunch of trend-forecasting, marketing BS? For the uninitiated, “athleisure” can be defined as clothing that takes inspiration from performance gear and activewear, but isn’t actually intended to perform or to allow for any strenuous activity. Maybe someone somewhere is crushing their Crossfit WOD’s in a pair of $945 Dolce & Gabbana cashmere track pants, but they’re probably easier to spot on someone crushing a kale salad at brunch. 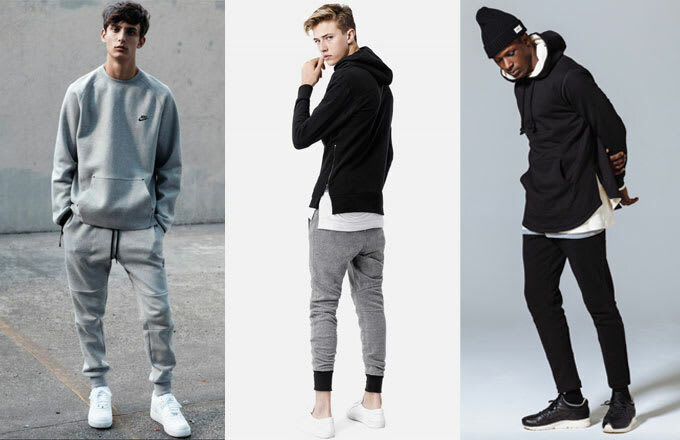 Athleisure is the mainstream version of the "cozy boy" trend that has dudes from SoHo to Des Moines ditching their skinny jeans for Nike Tech Fleece sweatpants and similar skinny knit pants from brands like John Elliott + Co., Aimé Leon Dore, and KITH. It&apos;s an aesthetic that&apos;s part-streetwear, part-gym rat, and 100% sneaker-oriented. After all, nothing draws more attention to a rare pair of kicks than the cuffed hem of slim sweats. The trend of wearing workout gear outside of the gym is not new—see, for example, a 2011 article in the Times that bemoaned Alexander Wang sweatpants as a sign that “we are becoming an elastic-waist nation”—but the athleisure movement, if you will, appears to have gained a lot of momentum over the past year. Sneakerheads have especially embraced the jogger pant—a chino trouser with a cuffed elastic hem—in droves, and now you can find multiple pairs at the Gap. By now, we’ve seen the athleisure trend round-ups. We’ve read about what it’s really like to wear athleisure to work. Athleisure has infiltrated the South, and made it to the mommy blogs, where it’s been declared both a “funky word” and a “big trend.” If you were to believe all of this press, everyone is swapping out oxford shirts for hoodies with thumb holes and chucking their jeans in favor of jogging pants. Or at least not buying new ones, according to the New York Post, which connected a 6% drop in denim sales to the rise of the yoga pant. But, as a firm believer that a healthy amount of skepticism should be applied to whatever is being touted as the next big in fashion, all of this begs the question: Is athleisure actually changing the way we dress and how we view clothing, or is it all a bunch of trend-forecasting, marketing BS? Tom Kalenderian, Executive Vice President and General Merchandise Manager, Mens, at Barneys, can verify firsthand the ubiquity of activewear-inspiration in menswear, and the enthusiasm for it at retail. While he doesn’t use the term to describe his own performance-oriented clothing, designer Donrad Duncan of EFM (short for “Engineered for Motion”), thinks athleisure has signaled a sea change in menswear. So, in essence, we’re living in the midst of a paradigm shift that’s drastically changed how men dress. 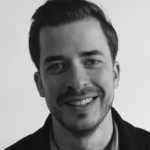 Abe Burmeister is a founder of Outlier, purveyor of the type of clothing you can actually wear if you actively lead an active lifestyle. His take on athleisure is a bit more nuanced when taken in a larger context. In other words, the next time we step out in our Flyknits, we may actually be treading on very familiar ground. Steve Dool is a writer and fashion consultant based in New York City, follow him on Twitter.